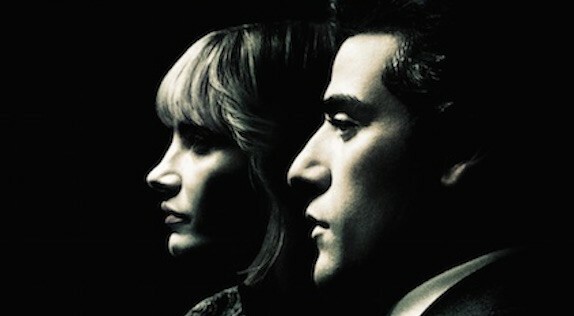 I love a good gangster film but A Most Violent Year isn’t your average bad guy mob flick. It is set in New York in 1981 which is widely reported as the year the crime rate went through the roof, with more violent crime, rapes and burglaries reported than ever before. The film has garnered comparisons with one of my favourite gangster films The Godfather (1972) so I skipped along in eager anticipation. Abel Morales played by Oscar Isaac is our anti gangster (much like Michael Corleone at first) an honourable guy, a fact he reiterates several times in the film. Abel wants good things for his family but he wishes to attain these in an honest way which is not easy when everyone around him has taken the more corrupt route. Abel’s wife, Anna played brilliantly by Jessica Chastain, is without a doubt the true gangster of the film. The daughter of a known crime lord, who we are never introduced to, she holds a mysterious power over Abel and warns if he doesn’t protect his family she will. You would expect more violence in a film with this title but its more about the struggle to keep on the straight and narrow for Abel. A struggle for survival, will he be able to resist the lure considering how focused he is on success and what if the ‘best route’ for him is not the honourable route? The lighting and cinematography by Bradford Young really captured the feel of early 80’s New York (or what I had imagined it to be). Isaac and Chastain both give very strong performances. I definitely enjoyed the film, I wasn’t blown away, but that might be because the calibre of films this year so far has been extremely high. Its definitely worth a watch.